Are Your Connections Mutualistic or Parasitic? Mutualistic relationships are described as a relationship wherein both parties benefit. 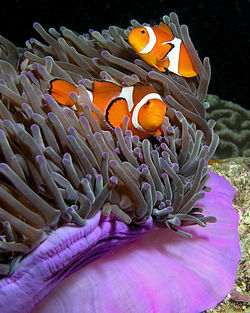 A great example from nature of this type is the Clown Fish and the sea anemone. A sea anemone has hundreds of poisonous tentacles to ward off predators, but the clown fish is immune to the poison. He hides from his enemies in the tentacles, eats small invertebrates and his waste feeds the anemone. Let’s not take this analogy too far, but the best types of relationships in the social media world are mutualistic, where both parties benefit. There are many great examples of fan pages who share educational and entertaining posts which enhance the lives of their fans. In turn, they remain loyal to your brand, store or biz. Moreover, they recommend your biz products and services. Commensalistic relationships are recognized as those in which one party benefits and the other is not harmed or helped in any way. Birds follow cattle or horses as they graze in an effort to feed off the insects which are stirred by the movement of the cattle. The four legged creatures are not affected in any way. 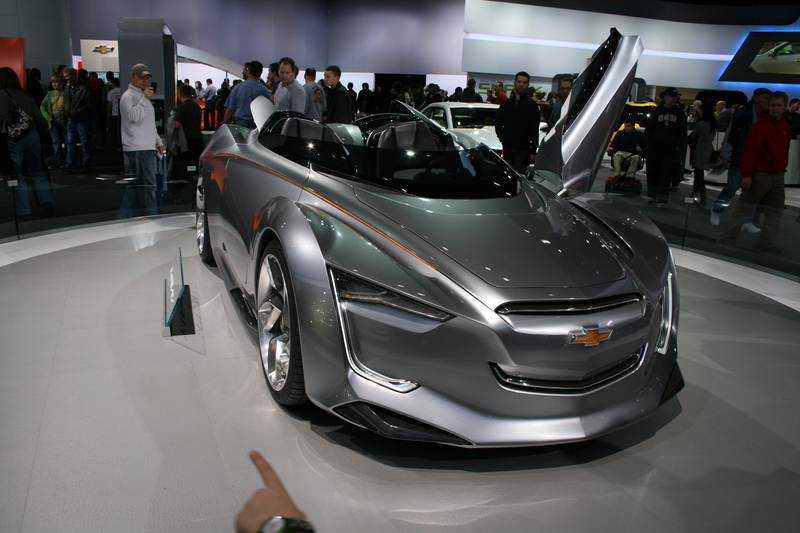 There are few example of commensalism in nature and in social media, but I think a good example is my photograph of the General Motors concept car, Miray, from the NAIAS which several dealerships have “borrowed” for their Facebook cover picture. They benefit by having a striking cover picture and I, in no way am harmed nor will I benefit in any way. The last one exits, unfortunately, in many relationships, not simply in social media. Parasitic relationships exist when one party benefits and the other is harmed. We all know people who behave in a parasitic fashion. The best thing about social media is, when that happens, you can block or delete them. For what it’s worth, don’t be a social media parasite and don’t accept them in your life connections. When fans feel you are “parasitic” they will unlike your page and quite likely your biz. Social media is based on people “living with” and relating to each other. To build healthy social media relationships, focus on becoming more mutualistic. Healthy relationships between people, on social media and in life, are connections wherein both parties benefit…remember this in your social media efforts. Facebook Timeline is coming to your Fan Page soon. Sure it’s a change and sure it’s going to take a bit of work, but I think the new format will be Facebook an even stronger marketing and relationship building tool. Besides, you don’t have a choice! 1) Even though Facebook strictly forbids blatant marketing on your cover pic, it’s still a great place to market. We know that 21% of the people who visit a new profile will click on the profile pic. Let’s assume it’s less than that, it’s still worth taking the time to type in a brief description of your business. Did you see that word brief? I’m talking mission/vision or brand statement or tag line. Visit mine at http://facebook.com/terry.wisner and see what I mean. 2) Let your cover pic be a welcoming visual and post your logo as your profile pic. Facebook recommends your profile pic be 180 X 180 pixels for best results. 3) Humanize your brand! Take a couple of hours and fill in a history of your biz. Tell people when and how it was founded. Share key product/services which have been added over the years. Remember, people often select a biz simply because of their years of experience. 4) Having the analytics at the top of the page serves as a good reminder how you are doing…don’t hide it. 5) Here’s a cool tip, you can move an older post to the top of your Timeline to highlight it again. Just hover over the posting, click on the little pencil in the upper-right corner, then click on “pin to the top”. It will stay there for seven days. 6) While we’re on the topic of manipulating posts, you can also change the date of a post to move it out on your timeline. Not sure why we would want to do this, unless you were to feel your more recent posts are more relevant but yet you don’t want to hide a particular post. 7) Another cool tip on posts, especially with awesome pics, hover over the post, click on the star in the upper right-hand corner and you will “highlight” that pic or post. This is especially cool if you have a product you want to feature. 8) THIS IS YOUR LANDING PAGE! No longer can you select default pages for people to land on. Make it great! 9) You can now take customer concerns and complaints “off-line” by asking them to message you directly. This has a great deal of potential. Convert over to the new Fan Page Timeline and begin to experiment. It won’t go live until you tell it too or on March 30. Why wait? If you feel panicky, give me a call. We are offering very special Facebook Coaching and Consulting rates for the entire month of March. One of my 101 Selling Tips on Facebook is…Steal good ideas! When you see an idea that works or influences you, adapt and apply it to your selling techniques. Whenever you are persuaded to take action or find you like any communication about another product or service take note of what motivated you to act on that stimuli. If it convinced or influenced you, ask yourself how you think it might influence your customer or clients. Let’s face it…there are no new ideas! Everything has been done before, we just improve and modify things to suit our current set of needs. One of my Facebook friends, Marilyn Suttle, author of “Who’s Your Gladys” offered a series of daily posts of what she called “100 Days of Apprectiation” where she listed people, places, or things she truly appreciated. Sharing a list of things is not new. Showing others how to live in an appreciative mindset is not new. In fact many of the perspectives that Marilyn has shared are, in fact, very common…“Marilyn Suttle Day 69 of 100 Days of Focusing on Appreciation: Today I appreciated waking up to the sounds of birds chirping. I’ve heard them for the last few mornings. They sound so happy!” Trust me, in Michigan on the first warm morning in five months…we all appreciated the chirping outside our window. Here’s the deal…Marilyn gave me the idea to start sharing a selling tip every day and do it for 101 days. I liked the idea and sat down on a snowy morning a few days later and made a listing of 101 tips for selling. The feedback on Facebook has been phenomenal, and yes I plan to turn it into a book. Maybe a FREE eBook! NOTE: Remember, always honor copyrights and trademarks! This just makes sense, don’t you think? Here’s the deal. As you strive for mastery in the selling profession, you must follow the attributes of a Chief Performance Officer. Define your Prosperity, Identify your Priorities, Develop your Plan (and steal ideas from others), Select a Partner, and Party when you succeed.